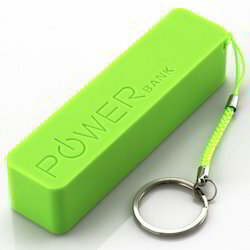 We have achieved recognition as a prominent enterprise, dedicated to offering a wide series of Portable Power Bank. We develop it utilizing most recent techniques and quality certified material in conformation with international quality standards. To deliver out items in a flawless way our quality controllers meticulously verifies these products against various quality parameters.